Greetings Crafty Friends, today I am sharing a project I did using a digital image from Scribbles Designs ... This is for the great challenge going on over at Retarte. 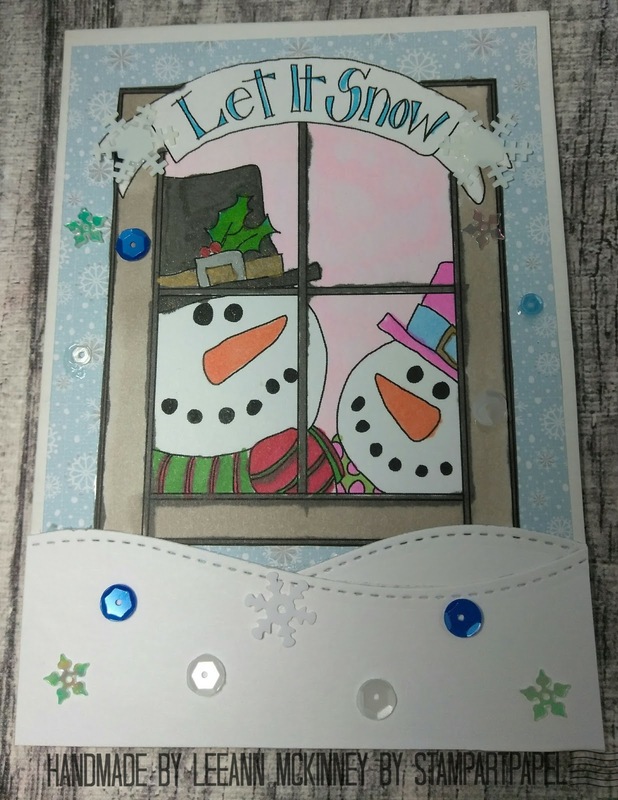 The image that I decided to use was Let It Snow. Using my Bic Mark-It's and Spectrum Noir Markers I colored the images. I added a little Black Wink of Stella for Frosty's hat. 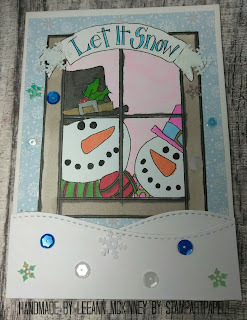 I used my Lawn Fawn dies to cut the snow drift, added a few sequins from Kat Scrappiness and my project was complete. 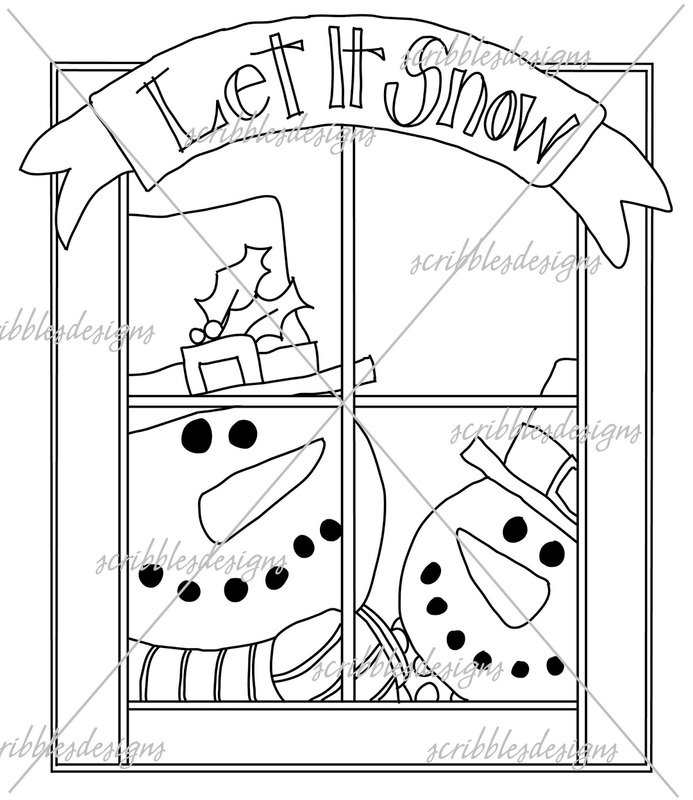 Love that image of the snowmen looking out the window with the drifted snow! It is so pretty! !